It was found that by applying positive potentials or currents and thus, supplying O2− onto the catalyst surface, up to 90-fold increases in CH4 oxidation catalytic rate can be obtained. The induced changes in catalytic rate were two orders of magnitude higher than the corresponding rate of ion transfer to the catalyst-electrode surface, i.e. faradaic efficiency Λ values above 100 can be attained. The reaction exhibits electrophobic behavior under the experimental conditions of the investigation. The results can be rationalized on the basis of the theoretical considerations invoked to explain NEMCA behavior, i.e. the effect of changing work function on chemisorptive bond strengths of catalytically active electron donor or acceptor adsorbates. 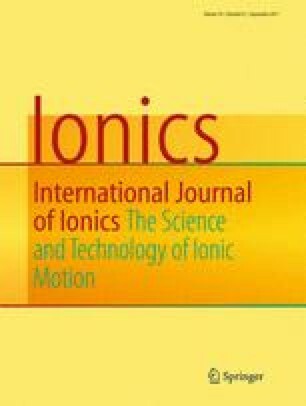 Paper presented at the 5th Euroconference on Solid State Ionics, Benalmádena, Spain, Sept. 13–20, 1998.